I lived in Roath when I was a student but haven’t spent much time there since moving back to Wales in 1999. Except for the past week when I’ve been there not once, but twice. 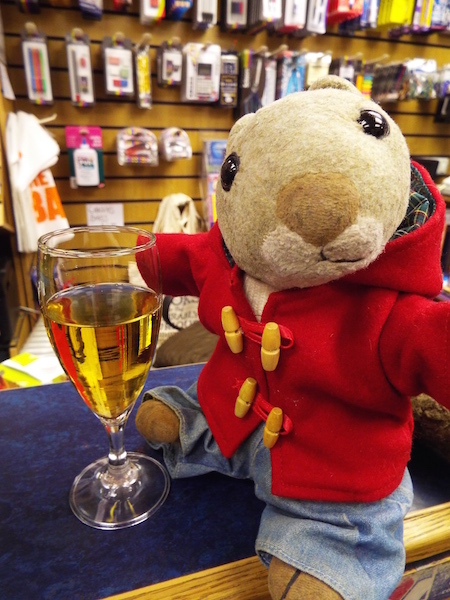 The second time was on Thursday evening, when Squizzey and I went to an event with local author Kate Hamer at the wonderful Wellfield Bookshop on Wellfield Road. It’s a lovely independent bookshop with a great selection of titles and friendly, knowledgeable staff that we’d been meaning to check out for some time, having heard such good things about it. Kate Hamer’s debut novel The Girl In The Red Coat came out a month ago and since then Kate has been busy travelling around the UK promoting it, but as she lives in Cardiff, it was lovely to be able to go to this local event. As ever, Squizz was fastidious about dressing appropriately and insisted on wearing his red duffle coat. Kate very kindly rewarded his efforts with the gift of a red button she’d made to help promote her book and he’s now wearing it with pride. It’s not often you go to an event and there’s squirrel-sized book booty after all! Kate read an extract from The Girl In The Red Coat and then answered questions from the audience and it was interesting to hear her not only talk about the writing process but also about the team effort that goes into bringing a book out. It was a fascinating insight into just how many people are involved and their different roles. 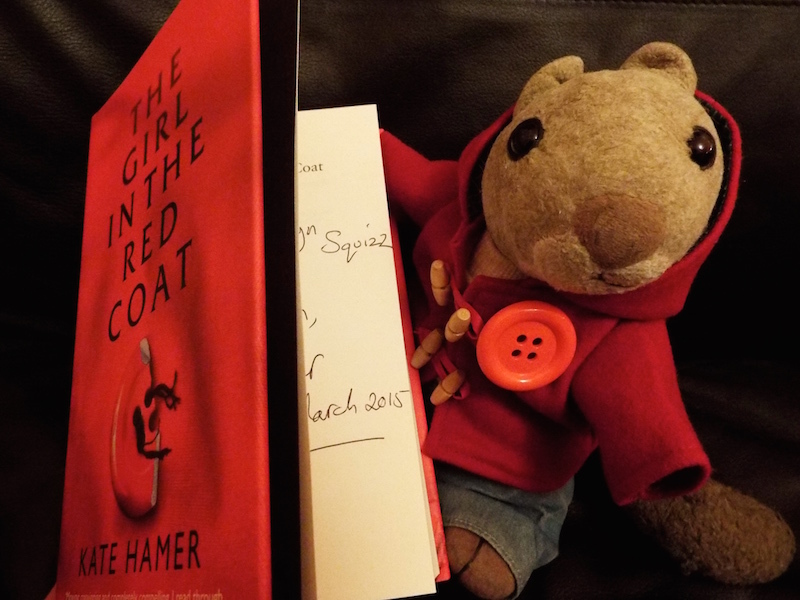 Happily, he’s a fast reader and The Girl In The Red Coat is now all mine and the weather squirrel has very kindly arranged a wet weekend, perfect for snuggling up on the sofa with a good book. 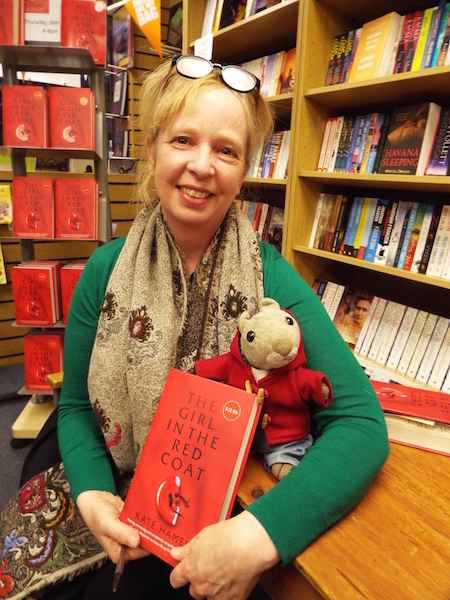 The Girl In The Red Coat is Kate Hamer‘s debut novel and is published by Faber & Faber. It’s available from all good bookshops and online retailers. To find out more about Kate, you can visit Kate’s Facebook Page or Follow Kate on Twitter.